An ominous-looking front approaching John Harbour, along the north shore. We spent two nights at John Harbour, along the north shore. We lucked out in this location, missing several severe storms that made their way through the Channel during this time, including the tennis ball-size hail at Blind River, just a few miles to our west. 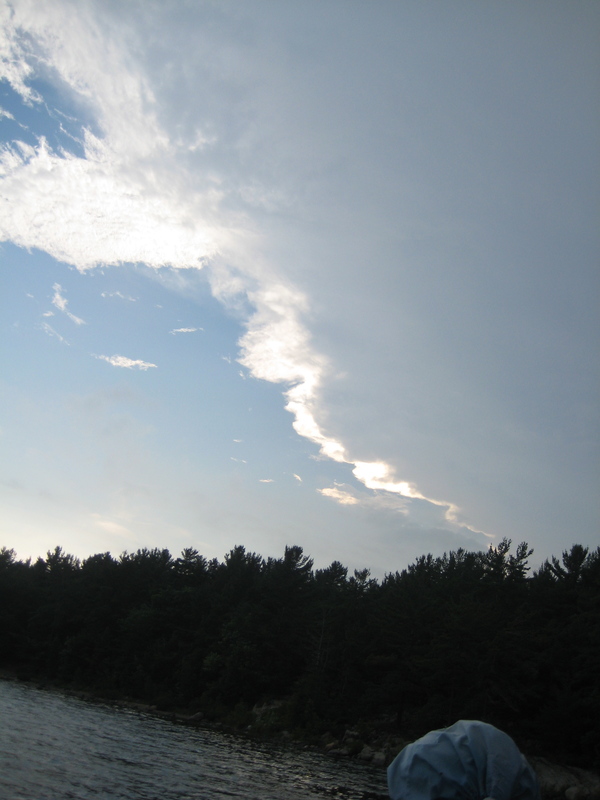 Watching the fronts come through became an interesting pastime during our stay. 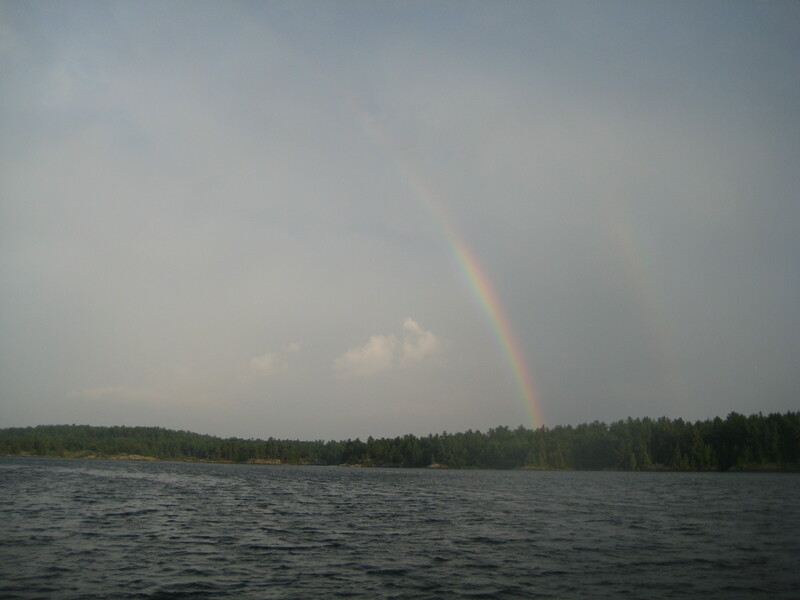 One of the afternoon storms that missed us, graced us with a full rainbow that arched across John Harbour.